Anyone who has lived in Georgia during the summer months knows that extreme weather, such as tornados and massive thunder storms are a reality that impact thousands of people a year. Trees may fall, damaging power lines and hundreds of people may lose electricity in an instant. With the summer heat in the south reaching 100 degrees or more, life without air conditioning could be life threatening, especially for small children and the elderly. Generators aren’t exclusively for the winter months anymore, not for Georgia residents who have experienced the heat, humidity and temperamental weather of the summer months. The most vulnerable residents, such as those who rely on dialysis or chemo-therapy face a real threat during power outages. 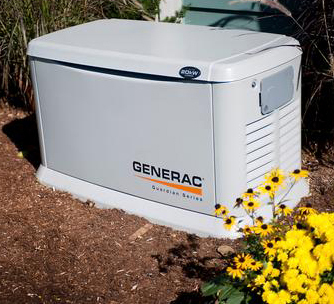 Generators are quickly becoming a must-have for peace of mind, especially as homeowners learn of their affordability and simple installation. Since 2007, Power Solutions Unlimited has been supplying, installing and maintaining generators everywhere within a 100-mile radius of Jasper. This includes cell phone towers, police stations, fire stations, assisted living facilities and private homes. PoweSolutions Unlimited is a full-service generator dealer as well as one of only two premier dealers in the entire state of Georgia. 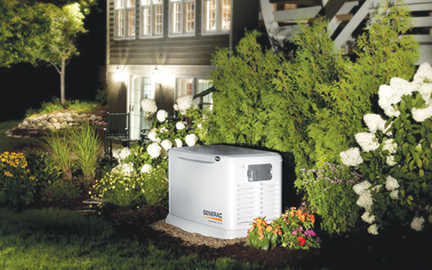 The generators offered by Power Solutions are wired into your home’s existing power service. When the electricity goes out, power is restored within 20 seconds, and you can go about your business. This is especially valuable during brownouts, which happen frequently as everyone on the power grid cranks up the AC in an effort to beat the extreme summer heat. A generator from Power Solutions Unlimited eliminates this worry, especially for those who rely on power for medical treatment. If you’re ready to make this priceless summer upgrade to your home, don’t waste any time. While the weather may be beautiful today, it can change at any moment, and you want to be prepared. The process is simple! Power Solutions will set up a free consultation and site visit to evaluate your home and determine the best generator to suite your needs. After you’ve been given a free quote, Power Solutions Unlimitedwill schedule an installation. With prices starting at $8500, these generators are affordable, and the peace of mind they provide is priceless. 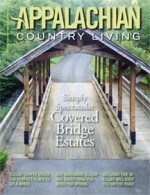 Customers who mention this article will receive a free 5-year warranty, which is valued at $595. Power Solutions Unlimited even offers financing and accepts all major credit cards. With the temperatures starting to rise, now is the perfect time to give Power Solutions Unlimited a call. When the next thunder storm takes out the power in your neighborhood, you’ll be patting yourself on the back. Contact Power Solutions Unlimited today!